THERE ARE PLACES that feel like home long before you hold the keys in your hand. 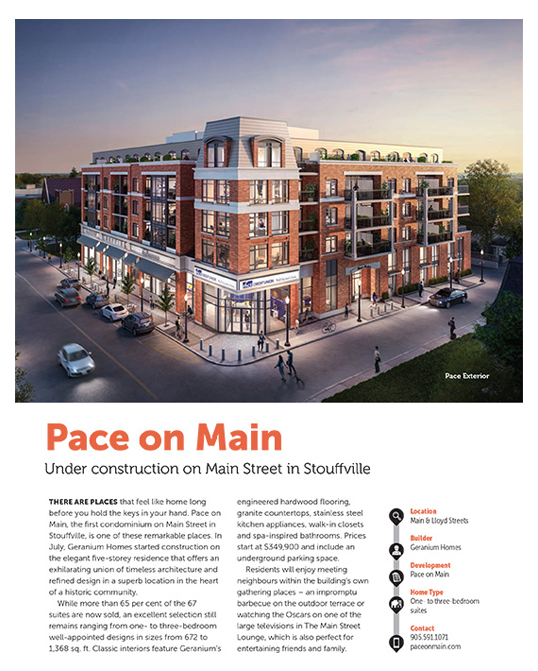 Pace on Main, the first condominium on Main Street in Stouffville, is one of these remarkable places. 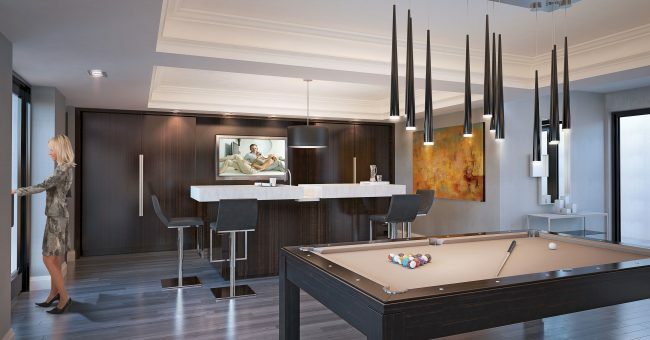 In July, Geranium Homes started construction on the elegant five-storey residence that offers an exhilarating union of timeless architecture and refined design in a superb location in the heart of a historic community. 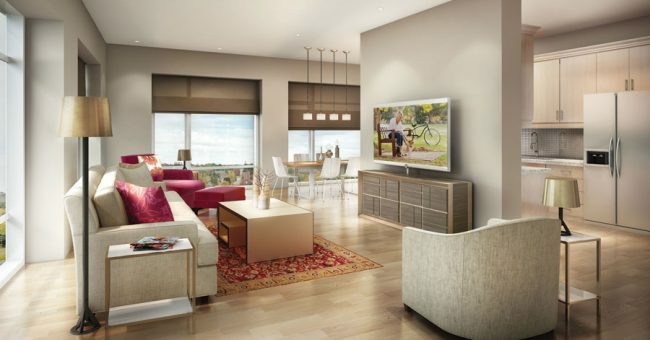 While more than 65 per cent of the 67 suites are now sold, an excellent selection still remains ranging from one- to three-bedroom well-appointed designs in sizes from 672 to 1,368 sq. ft. Classic interiors feature Geranium’s quality finishes such as nine-ft. ceilings, engineered hardwood flooring, granite countertops, stainless steel kitchen appliances, walk-in closets and spa-inspired bathrooms. Prices start at $349,900 and include an underground parking space. 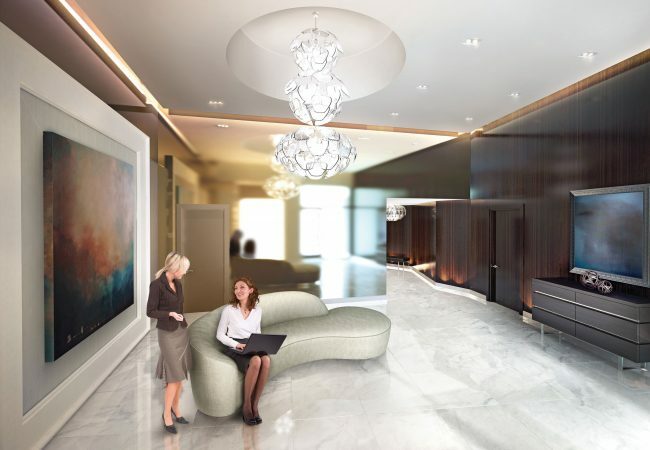 Residents will enjoy meeting neighbours within the building’s own gathering places – an impromptu barbecue on the outdoor terrace or watching the Oscars on one of the large televisions in The Main Street Lounge, which is also perfect for entertaining friends and family. offered at Pace on Main. 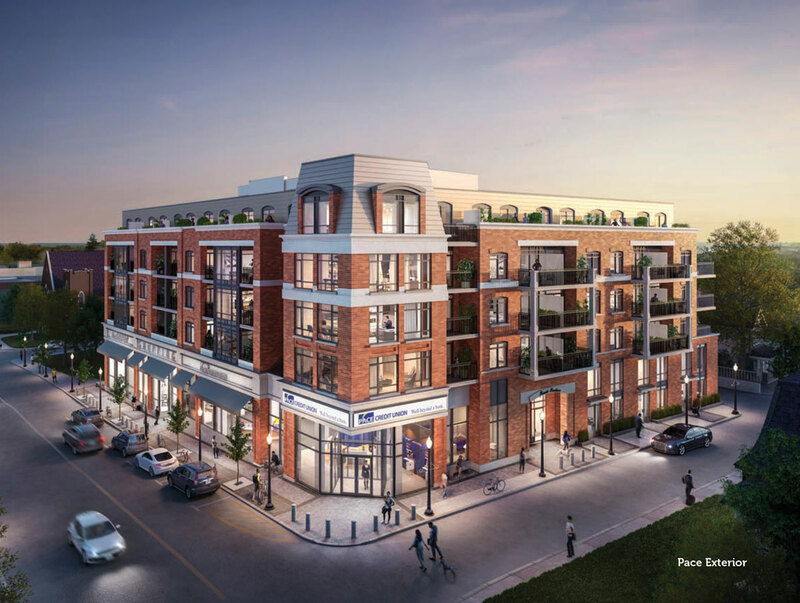 Pace will soon rise at the corner of Main and Lloyd streets only steps from the Stouffville GO station, which provides an effortless commute to Toronto. Homeowners will appreciate the convenience of the location, having everything within a short stroll or drive away. At your doorstep, Main Street offers a variety of quaint restaurants, shops, services and a weekly farmers’ market, while larger brand name stores such as the Metro, LCBO and Shoppers Drug Mart are just a short drive away. The City of Markham, home to the state-of-the-art Markham-Stouffville Hospital, is a 10-minute drive south, and cottage country is within an hour’s reach. Pace owners will enjoy the changing of the seasons from the open space of Memorial Park. Fitness enthusiasts have numerous opportunities to stay active, from the swimming and organized programs at the Leisure Centre to the many golf courses and kilometers of cycling and hiking trails surrounding the town. 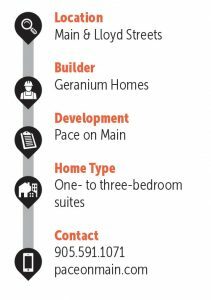 Since 1977, Geranium has developed numerous master-planned communities, taking them from conception to completion, creating desirable neighbourhoods and establishing a solid reputation for quality design and construction. Offering the best of city and country life, and surrounded by wonderful amenities, now is the perfect time to choose your new home at Pace on Main! The sales centre is located at 184 Glad Park Rd., north of Main Street and west of Ninth Line in Stouffville. Hours are 1 p.m. to 6 p.m. Monday to Thursday; noon to 5 p.m. on weekends and Holidays; Fridays closed or by appointment.